Off with the roof say Aston Martin, as they show off the new DB11 Volante, a good looking V8 powered open-top Sports GT car. 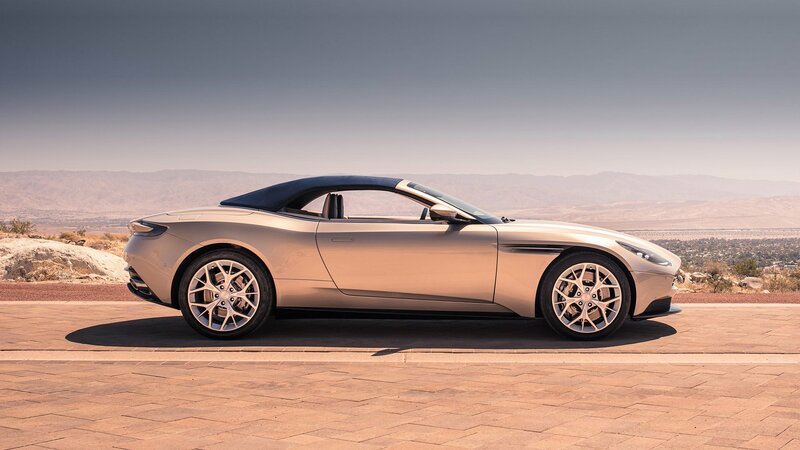 Aston traditionally named their convertible cars as a Volante, and the DB11 is no exception taking its place in the line-up alongside the coupe version. The Volante will only come equipped with the AMG sourced twin turbocharged V8 engine, with no option for the heavier V12 version that is available in the coupe. The DB11 was always a beautiful car which had some weird hollow pillars and slightly disjointed roof that marred the final result of its visual appeal. Now with the roof gone and replaced with an elegant and simple fabric design, most of the visual weight is below the waistline, producing a more classically proportioned car. Explore More Wallpapers in the Aston Martin DB11 Sub-Category!